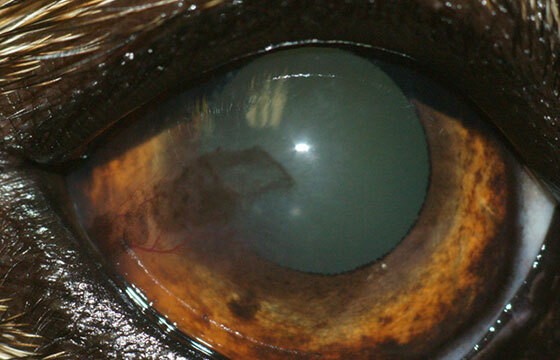 Here at the Animal Eye Center, we’re dedicated to eye care for animals and helping owners recognize problems. 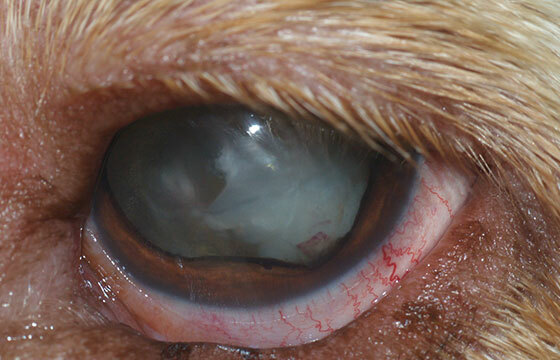 We have included some articles and photo galleries on common animal eye diseases, including dog cataracts and pannus in dogs. Please take full advantage of this information by browsing through the list to the left. If at any time you have questions or are concerned that your pet may be suffering from one of these conditions, please call our office. 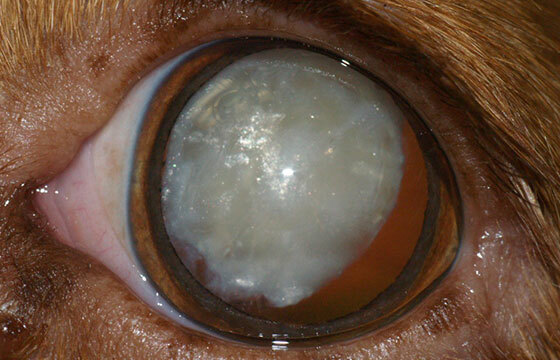 Cataracts in dogs are opacities in the lens of the eye. 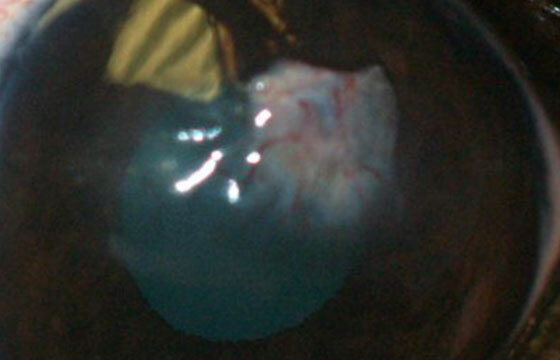 Many people mistakenly think the cloudiness is on the surface (thought to be a “film” on the eye), but in fact, the cloudy lens is deep inside the eyeball. 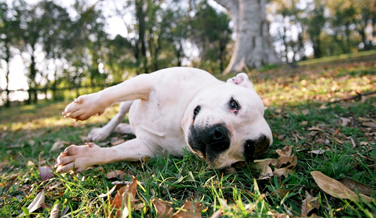 The lens of a dog is approximately one half inch (15 mm) in diameter and a third of an inch thick (9 mm). 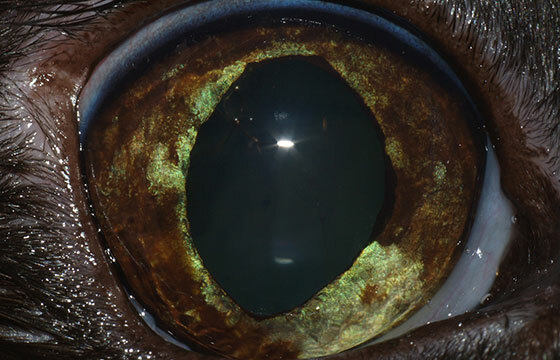 It sits behind the iris and pupil. 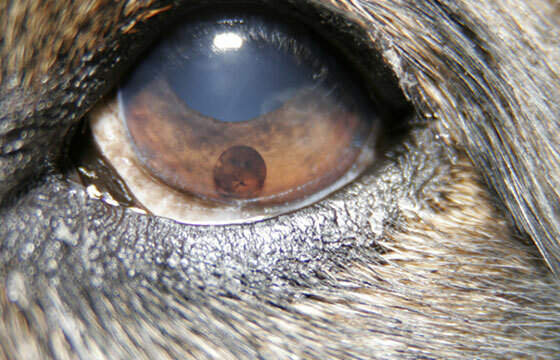 As dogs approach 8-10 years of age, the lens naturally becomes more cloudy (blue-grey in color) due to the aging process. 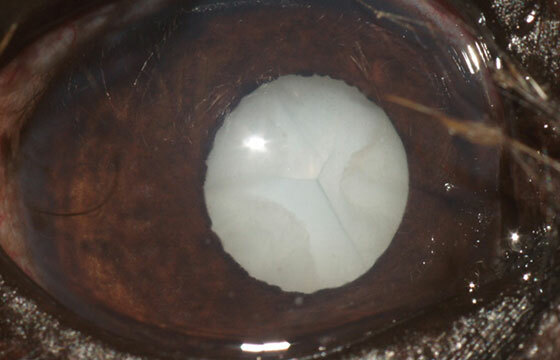 This is not the same a dog cataract, which typically appears white in color. The aging change is called nuclear sclerosis and causes difficulty with close-up focus on objects. It is important to realize that normal dog vision is not as sharp as ours. 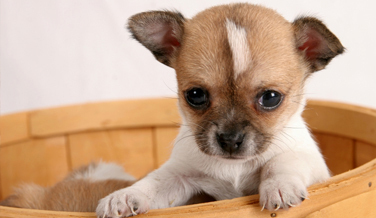 A dog typically has visual acuity of 20:70 whereas 20:20 is normal for a person. 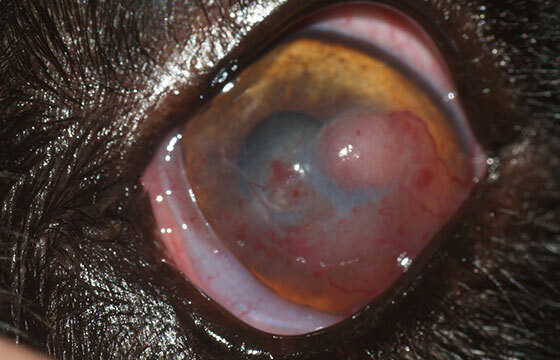 Chronic Superficial Keratitis (Pannus in dogs) is a disease seen most commonly in the German Shepherds, but does occur in other breeds. 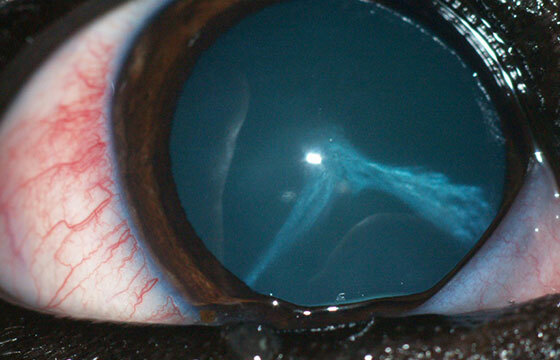 A progressive change occurs where blood vessels and scar tissue invade the cornea. 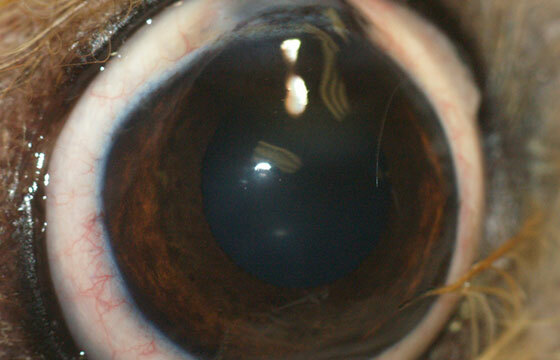 This change usually begins in the temporal (outer) or ventral (lower) quadrant of the cornea, and severe cases can involve most or all of the corneal surface area resulting in blindness. 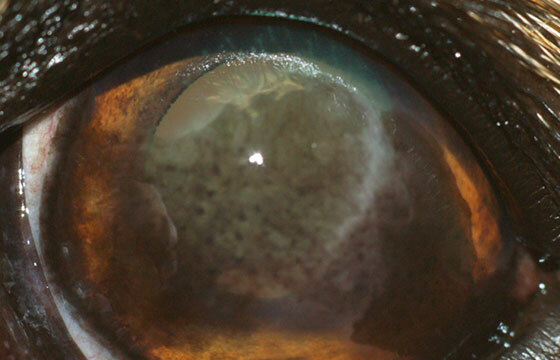 With chronicity the affected areas become black with pigmentation. 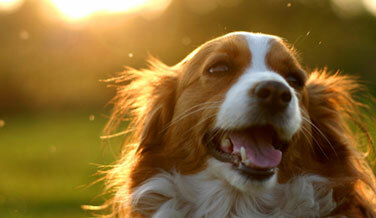 Our mobile vets can help correct this problem and help your dog feel better. 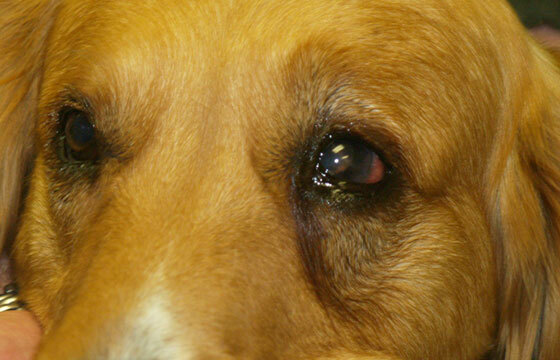 Glaucoma is defined as “an increase in pressure in the eye with a loss of vision.” The disease is painful in most cases, especially when the eye pressure is very high. The signs of glaucoma include: redness, cloudiness, tearing, loss of vision, an enlarged eyeball, unusual aggressiveness, lethargy, and loss of appetite. 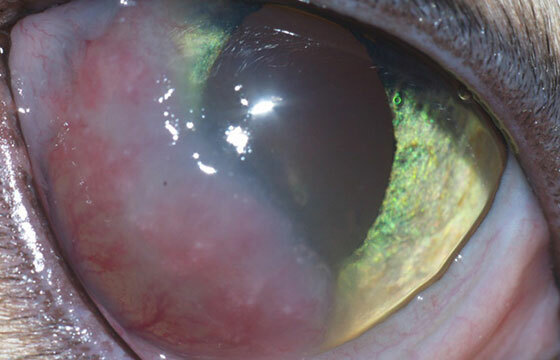 The normal physiology of the fluid in the eye calls for the fluid to be made in one structure behind the pupil (ciliary body), travel through the pupil, and exit out the space between the cornea and the iris. 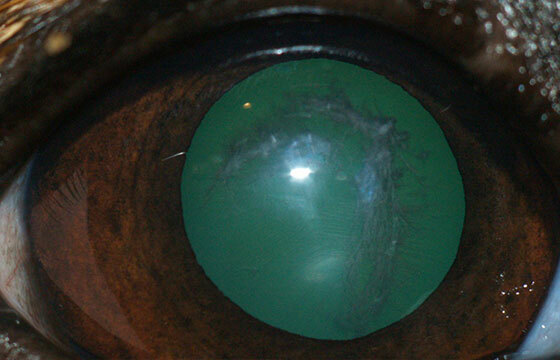 When the fluid cannot properly drain from the eye, the pressure in the eye is increased. An analogy would be a kitchen sink – if the drain is open and the water is running, there is no problem. However, if a plug is placed in the drain and the water keeps running, then the sink fills up with water and overflows! 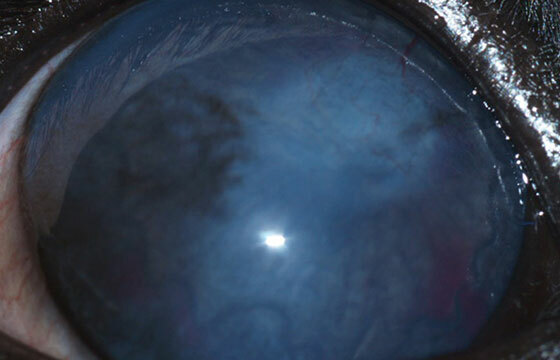 Some patients have primary glaucoma where there is no concurrent disease but some secondary causes of glaucoma include: inflammation, trauma, and tumors. 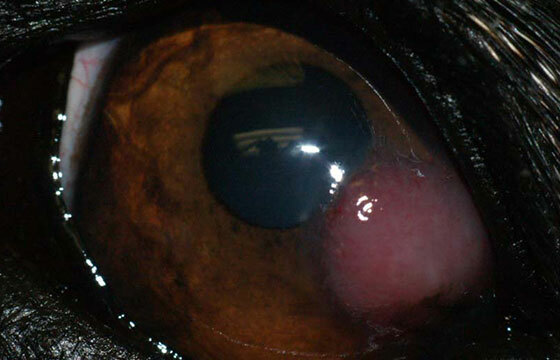 All of these factors can obstruct the drainage of fluid from the eye. If at any time you have questions or are concerned that your pet may be suffering from one of these conditions please call our office. Our receptionist will be able to direct your questions to the proper staff member as well as schedule a time for your pet to have a thorough examination by one of our doctors. The clinical signs of dry eye include: heavy mucus production, redness, rubbing at eyes, cloudy eyes, corneal ulcers, and sometimes lethargy. 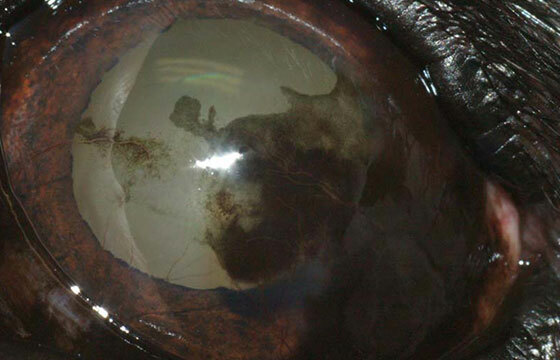 After an extended period of dryness, the surface of the eye begins to accumulate dark scar tissue and blood vessels – to the point of blindness in some patients! This situation is similar to having a layer of mud covering your glasses.